Hello dear readers! As I look out the window of the Universal Audio Support department I see the warm sun shining! Spring is here … spring is here! Spring is all about new things. And there are a lot of you out there with brand new UA hardware products. And of course you all have questions about using these new products! 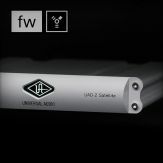 I’ve been focusing on the UAD-2 for the last couple of months, so I feel it is time to talk to those of you out there who have just purchased one of our famous UA hardware products. Now, I know the UAD cards are great, but can you cuddle up next to a UAD card and feel the warmth radiating from its chassis? And what beautiful chassis all these UA hardware damsels of the control room have! With this in mind I would like to address some of the common questions new hardware users have, based on Customer Support calls and emails. I am hoping that this information will provide some solutions and answers before you make that call to UA Customer Support (or hit the ole Send button for that email …). 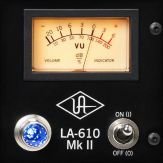 My new UA LA-610 (or 6176) sounds distorted! 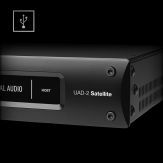 A common mistake when using one of these products is how you have your UA Channel Strip connected. 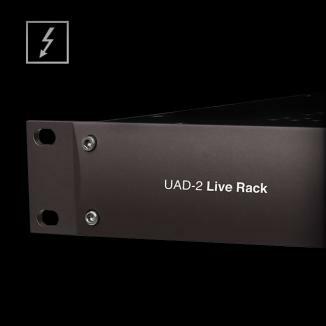 The UA Channel Strip products have a line level output and therefore need to be connected to a line level input of the console or computer interface. You will need an XLR to 1/4” TRS cable in order to connect the output of the channel strip to input of your interface/console. The same applies for the SOLO/610 and SOLO/110 if their output is set to "Line." 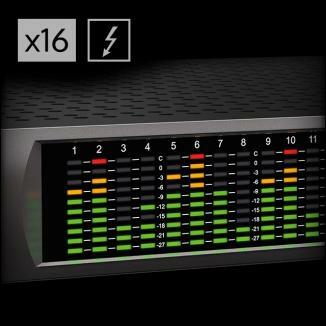 (For more on Line versus Mic output settings on the SOLO/610 and SOLO/110, see below). I switched my SOLO/610 (or SOLO/110) to "Mic" for my microphone and the output is very low. 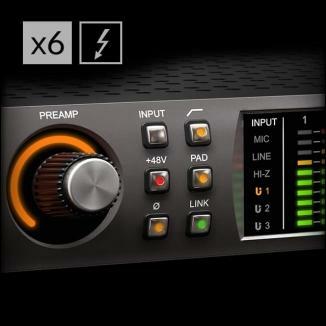 The SOLO/610 and the SOLO/110 have a special switch for setting the output to line level or mic level. Why? 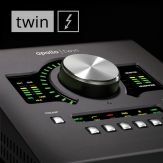 Because these little babies are commonly used on stage, and users sometimes have to patch into another mic preamp rather than a line level input. This is not a switch for the input, but rather the output of the product. If you are connecting to a line level input, then make sure this is set to Line. 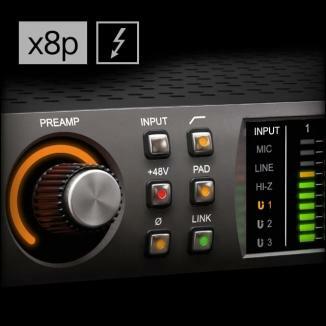 If you are connecting the output to another mic preamp, then make sure you set this to Mic. And what is "line level" anyway? A line level describes a line's nominal signal level as a ratio, expressed in decibels, against a standard reference voltage. The nominal level and the reference voltage against which it is expressed depend on the line level being used. While the nominal levels themselves vary, only two reference voltages are common: Decibel volts (dBV) for consumer applications, and decibels unloaded (dBu) for professional applications. The reference voltage for the decibel volt (0 dBV) is 1 volt root mean square (VRMS), which is the voltage required to produce 1 milliwatt (mW) of power across a 1 kilohm (kΩ) load. The reference voltage for the decibel unloaded (0 dBu) is the voltage required to produce 1 mW of power across a 600 Ω load (approximately 0.7746 VRMS). The most common nominal level for consumer audio equipment is −10 dBV, and the most common nominal level for professional equipment is 4 dBu. By convention, nominal levels are always written with an explicit sign symbol. Thus 4 dBu is written as +4 dBu. Expressed in absolute terms, a signal at −10 dBV is equivalent to a sine wave signal with an amplitude of approximately 0.447 volts, or any general signal at 0.316 VRMS. A signal at +4 dBu is equivalent to a sine wave signal with an amplitude of approximately 1.736 volts, or any general signal at approximately 1.228 VRMS. How do I connect my keyboard to my new UA LA-610 (or 6176)? 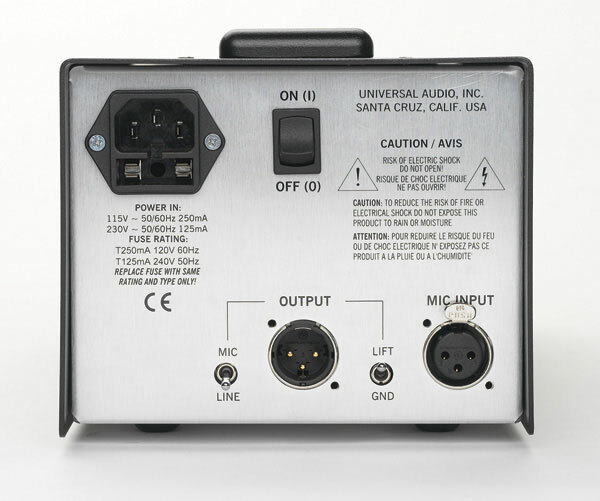 IMPORTANT NOTE: If a connection is made to the Hi-Z input, be sure that there is no connection also made to the Mic or Line inputs. The same rules apply to the SOLO/610 or SOLO/110. Use the Hi-Z input on the front of the unit for connecting the output of your keyboard. If your tube preamp starts to make any odd sounds, it is most likely a bad/failed tube. Tubes may last for years, or they may fail in minutes (more likely the first option). You may not need any scientific test equipment to know a tube is bad. You will hear odd, alien-underwater-creature sounds (thus "swooshy" and "wooshy") or distortion in audio signal, like intermittent pops, flickering, spikes, crackle, thin sound and spitting thermal noises. Trust your ears! I won’t go into great detail on tube replacement because the Grand Duke of all things analog, Arfel Hernandez (yo Arfel!) has written an exxxxxcccellent WebZine article that details all aspects of tube replacement. at very HIGH VOLTAGES and can cause personal injury or property damage. You should immediately contact your friendly neighborhood UA Support folks, who will be happy to help! What are the BEST settings for my LA-610/6176? First, we want to set up the preamp for optimal levels. 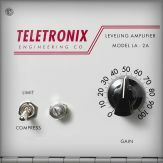 Before we adjust the preamp stage, we want to "bypass" the compressor stage so that we are sure that all we are dealing with will be the 610 Preamp. 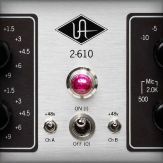 For the LA-610, set the Meter knob to "Preamp" so that the meter is only showing us the levels of the preamp stage. Next set the Mode knob to "BYP," which will bypass the compressor stage. 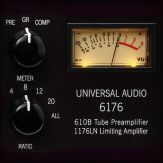 For the 6176 set the Meter knob to "PRE" so that the meter is only showing us the levels of the preamp stage. Next set the Ratio knob to "BP," which will bypass the compressor stage. 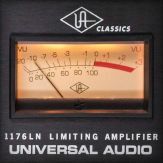 Now let’s look at the 610 preamp settings (this applies to both the LA-610 and the 6176). 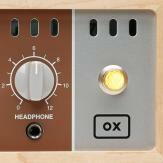 Start with the Gain knob set to ‘0.’ Next set the Input Select knob to "Mic" and select 500 Ω or 2.0 KΩ. Switching between these two positions while listening to a connected microphone may reveal a different tonal quality and/or gain. A typical mic preamplifier should have an input impedance equal to about 10 times the mic output impedance. 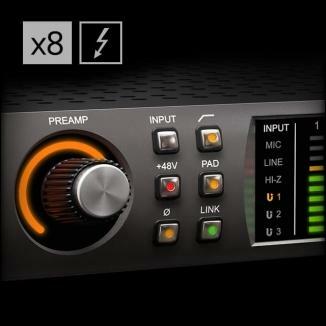 For example, if your mic has an output impedance between 150 and 200 Ω, set the switch to the 2.0 KΩ position. However, since making music is not necessarily about adhering to technical specifications (following the rules!! 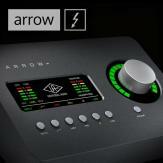 ), feel free to experiment with the settings to attain the desired sound. Remember the number one rule: trust your ears! Changing the Input Select values will not harm your microphone or the 610 preamp. Now set the Pad switch to the down position ("Pad Off") and set the Phase switch to the down position ("In ∅"). I like to set the Level dial to 7 to begin with (a good starting point). Next set the High Frequency EQ switch to 10K and the Low Frequency EQ switch to 200 and both the High Boost/Cut and Low Boost/Cut knobs to 0. Now you can adjust your Level dial until the meter reads around 0. This will of course vary with the mic and the source material. This is a loaded question. … It’s like asking which is the best flavor of ice cream in the shop, or which is the best dressing for salad. At the end of the day, trust your ears! But here are some examples to start from (cuz you asked …). 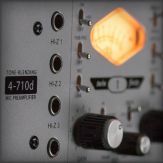 The compressor stage of the LA-610 uses the legendary T-4 type electro-optical compression circuit. This "opti circuit" has the desirable effect of making the compression entirely program-dependent (that is, the amount of compression varies constantly, depending on the fluctuating strength of the incoming signal) and at the same time imparting a very fast attack time and dual-stage release time that is musically very pleasing. Of course, as mentioned before, taste will determine the settings, but here is a good starting point. First set the Meter knob to "Comp," the Mode knob to "Comp," and the Gain dial to 7. Now turn the Peak Reduction dial to 0 and adjust until the meter reads around -3 dB. The final step will be to change Meter knob to "Output," and then adjust the Gain dial until the meter is around 0 (+4 dB). 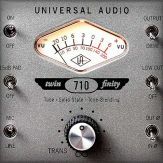 The compressor stage of the 6176 is based on the famous 1176LN, which is an all-discrete, solid-state, FET-based compressor/limiter featuring feedback-style compression and offering extremely fast attack times. First set the Meter knob to "GR" and then adjust the Input and Output controls to a fully counterclockwise position. Set the Attack and Release controls to 5, so that "Gain Reduction" (compression) is enabled. To begin, set the Ratio knob to 4. Again, this is just a suggestion. Trust your ears!! Do What Thou Wouldst is the only rule! Now rotate the Input control clockwise until the meter reads around -3 dB. The final step will be to change Meter knob to "Comp" and then adjust the Output control until the meter is around 0 (+4 dB). What’s a Good Setting for Vocals on my 6176? This is a common question. Again, trust your ears! However, a good suggestion that I pass along is the ole "Dr Pepper" setting shared by Jim Scott, GRAMMY® winner for Best Engineered Album for Tom Petty's Wildflowers. He's also known for his work with Red Hot Chili Peppers, Natalie Merchant, and Wilco. "I use 1176s real conservatively and they still do amazing things,” he comments. “I'm always on the four to one button, and the 'Dr. Pepper'--you know, 10 o'clock, 2 o'clock, and it does everything I need." History Lesson Kids! 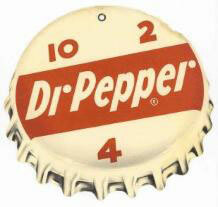 Why "Dr Pepper"? The link with Dr Pepper is in the numbers: somewhere in the 1930s, Dr Pepper started promoting the notion to have a sugar boost (in the form of a Dr Pepper, of course) at 10 am, 2 pm, and 4 pm after "scientific" research revealed most folks have a blood-sugar dip at those times. So they started to center their campaigns around the numbers 10, 2 and 4. Create your own settings!!! Amaze your friends!! That’s it kids. … This brings to a close another "Support Report" from your old buddy Dan the Support Man!